Person explains that he will call when a certain presentation is ready to give in Cleveland noting that an original project did not work out as expected. 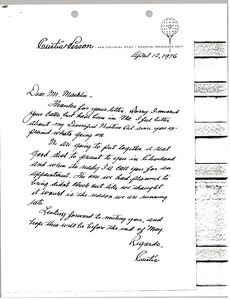 photocopy of a check from Queenstown Partners. 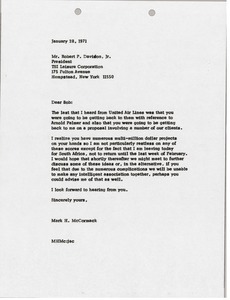 McCormack informs Davison of his upcoming trip to South Africa and suggests a meeting upon his return to discuss a United Airlines-Arnold matter as well as a proposal "involving a number of our clients". 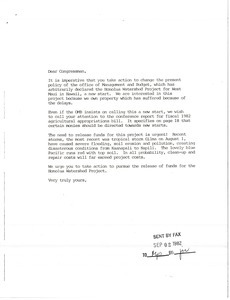 A from letter sent to Mark H. McCormack from the Honokowai-Napili-Kapalua Taxpayers group to seek policy change from local Congressmen regarding the Honolulu Watershed Project. 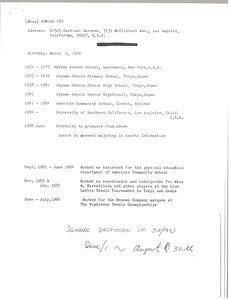 Includes information about education and work experience. 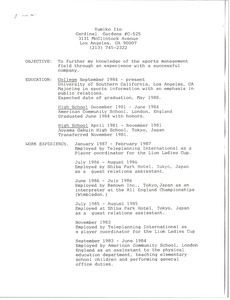 Los Angeles (Calif.) - Yumiko Ito's resume. 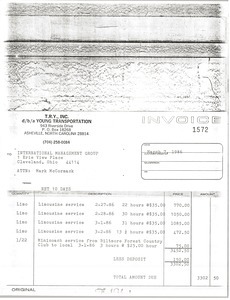 Asheville (N. C.) - Invoice for limousines and a mini bus used during Mark H. McCormack's wedding. 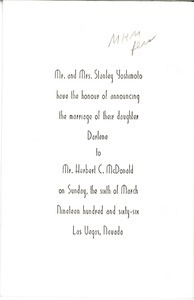 Las Vegas (Nev.) - Wedding invitation for Darlene Yoshimoto and Herbert C. MacDonald. 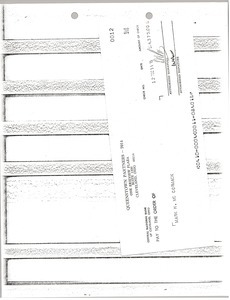 New Haven (Conn.) - Yale Law School Fund reply card and envelope. 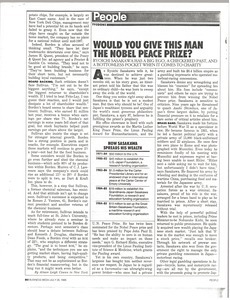 Would You give this Man the Nobel Peace Prize? Article about Ryoichi Sasakawa, a Japanese tycoon and philanthropist with "a big ego, a checkered past, and a bottomless pocket when it comes to charity."